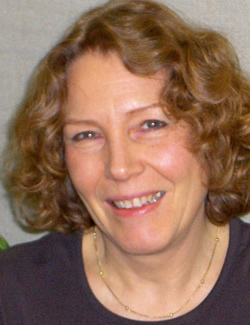 Carol-Jane began her career in the Children’s Mental Health Field in the 1970’s as a Child Care Worker after completing her BA in Sociology and Political Science at Simon Fraser University in British Columbia. After training and working as a Childcare Worker for two years, she pioneered the development of an outreach program for families whose children were on a waitlist for residential treatment. She then returned to school to complete a Master’s Degree in Clinical Psychology, specializing in Early Childhood, at the Ontario Institute for Studies in Education. She completed her M.Ed. degree in 1988 and the course work for a doctoral degree two years later in 1990. Prior to helping found the Willow Centre in 1999, and after a post doctoral clinical internship at the Hincks Dellcrest Centre in Toronto, Carol-Jane worked as a Daycare Consultant and Psychotherapist at Credit Valley Hospital in Mississauga, as a Parent-Infant Psychotherapist at the Hincks Dellcrest Centre and as an Adult, Family and Child Psychotherapist at the Georgina Family Life Centre in Keswick, Ontario. Carol-Jane’s interest in infant mental health and the importance of early attachment relationships to development in general, led her to further training with Dr. Mary Main, Dr. Eric Hesse and Dr. Carol George, all well known experts in the assessment of attachment, as well as with Dr. Daniel Hughes and Dr. Dianna Fosha, clinical psychologists who work therapeutically from an attachment/relational perspective. In order to help parents and children who are struggling with the difficulties related to separation and divorce, Carol-Jane also pursued further training in Mediation and Parent Coordination and has participated for the last ten years in an ongoing Peer Consultation Group with other colleagues who work with families affected by conflict, separation and divorce. A more recent interest of Carol-Jane’s, inspired by the work of Dr. Stephen Finn founder of the Centre for Therapeutic Assessment in Austin Texas, has been the use of a more collaborative approach to psychological testing to help older children and adults gain a better understanding of themselves, and parents a better understanding of their children. Carol-Jane’s practice at the Willow Centre involves Psychotherapy for children, adolescents, adults, families and couples as well as Therapeutic/Collaborative Assessments, Parent-Infant and Parent-Child Psychotherapy, Mediation, Parent Coordination, and Attachment Focused Psychotherapy for parents who are adopting or fostering infants or older children. Although Carol-Jane’s work and training takes up much of her time, she also likes to travel and enjoys the theatre and movies, wilderness camping, hiking and canoeing, long leisurely walks and spending time with family and friends.